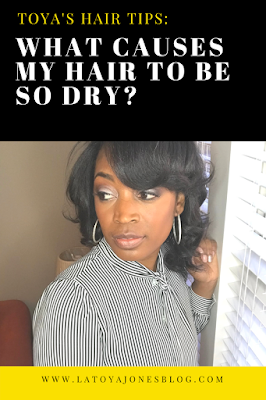 Toya's Hair Tips || What Causes The Hair To Be So Dry? Toya's hair tips: what causes the hair to be so dry? 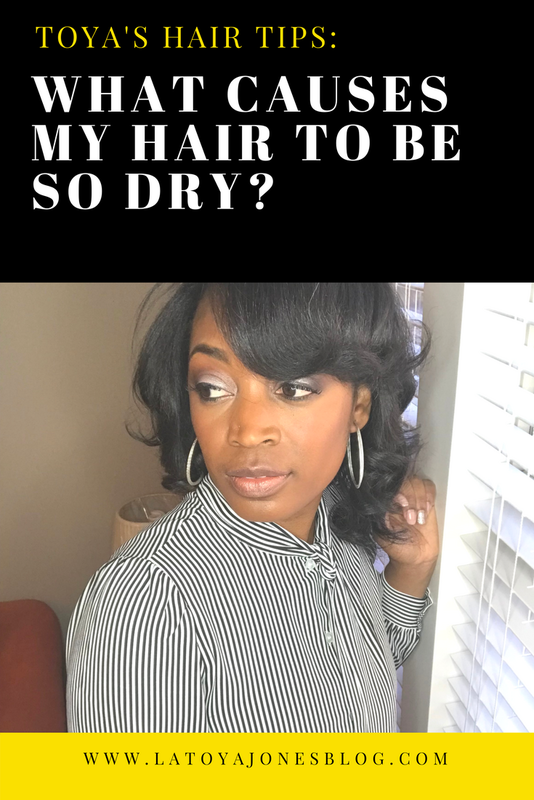 Today my tip comes from the question "what causes the hair to be so dry?" I get asked this question all the time! This question is actually what made me decide to create by L. Jones Products. I wanted to create something for women to be able to use at home that would give their hair the proper amounts of moisture. The truth is that many women, especially black women have oil glands in our scalp that are not very active. What this means is that it could take up to two weeks before our hair starts getting oily on its own which is why many black women shampoo their hair every two weeks. Then you have other ethnicities where the women have to shampoo their hair daily. That is because the oil glands in their scalp are much more active. While we cannot control the activity level of our oil glands, there are a few adjustments we can make in order for our hair to be more moisturized. Drink enough water: Our bodies are made up of about 75-80 percent water so if we do not receive enough, our skin and scalp will become dry. Drink half of your body weight in ounces per day. This is the only way to properly hydrate your body from the inside. Use moisturizing products: If your hair is extremely dry it is very important to use moisturizing products (like these) so that it won't become even more dry. Weather changes: In cases of extreme cold, the hair tends to be more dry simply because there is not much moisture in the air. In the summer months the hair is much more moisturized because there is also so much moisture in the air. Be sure to use moisturizing products in the winter. Medication: Many medications have adverse reactions on the hair and one of them is that it can dry the hair out. If this is the case for you please speak with your doctor about alternative solutions. Do not just stop taking your medication without consulting your doctor first! There are many reasons for the cause of dry hair, but you can fix it! Keeping your hair properly nourished and moisturized is not as hard as you think. You just need to know what to do to get it back on the right track. But don't worry, that's why I'm here to help! One cause of dry hair is that its not properly moisturized. Be sure to use only moisture products like by L. Jones in your hair.